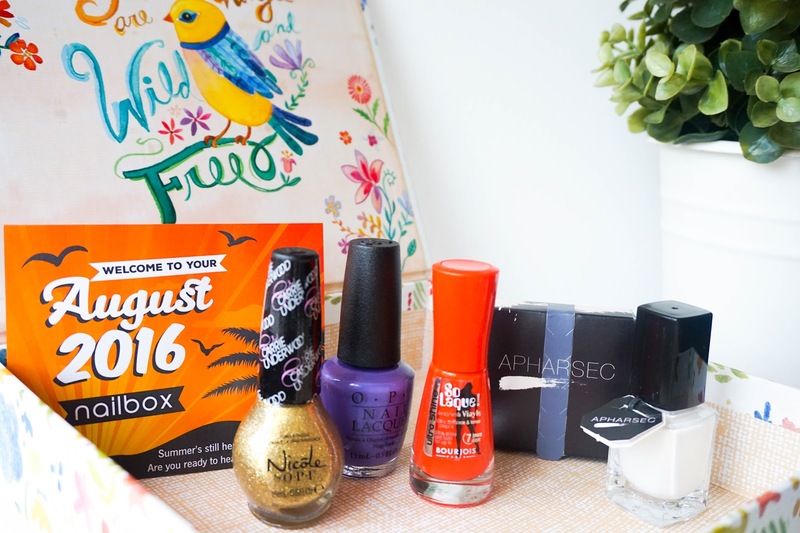 NailBox is basically a monthly subscription box that focuses on providing you with five nail products, including three or four nail polishes and one or two nail tools or treatments. The brand work hard to make sure that they are sending out the best colours from the biggest brands in the nail industry. They can also guarantee that you won't get the same polish twice, as there's always going to be new colours for you to try every single month. For the price (£15 monthly or cheaper if paid on an annual basis), you really can't go wrong considering your getting full sized products. With a theme like this particular one "Into The Sunset" I was expecting bright & vivid shades that would essentially resemble a sunset in some way. I feel like NailBox really achieved the theme though the selection of polishes that came in this month's box. I was also really happy to notice that I actually haven't tried any of the brands and their polishes before, which made up this box. So that's quite exciting to get to experiment with not only new products but new brands at the same time. 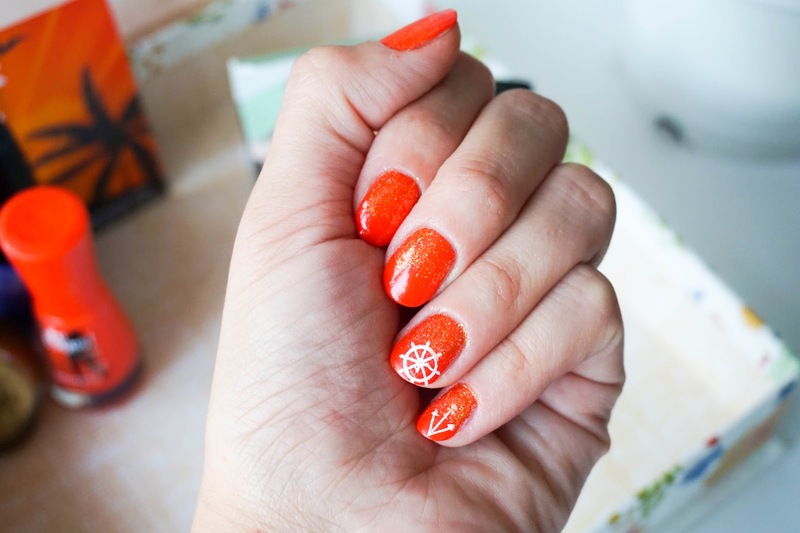 On top of that I actually surprised myself at the fact that I was able to recreate my own version of sunset nails and get creative with a nail stamp (which I never thought would happen considering I'm not exactly great at nail art). 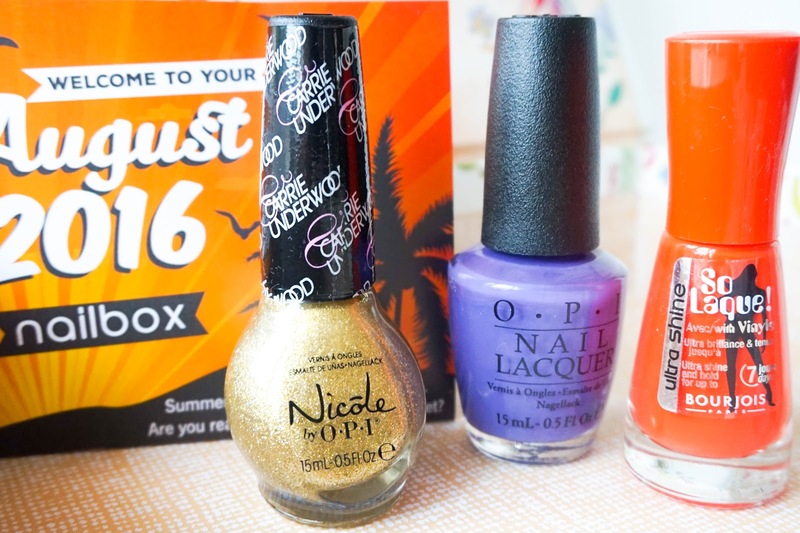 So in the box I received three bright coloured polishes, one from Bourjois (still can't believe this is my first time trying their polishes) and two from OPI (completely new to me as a brand but one that I was eager to try as I always hear amazing things). 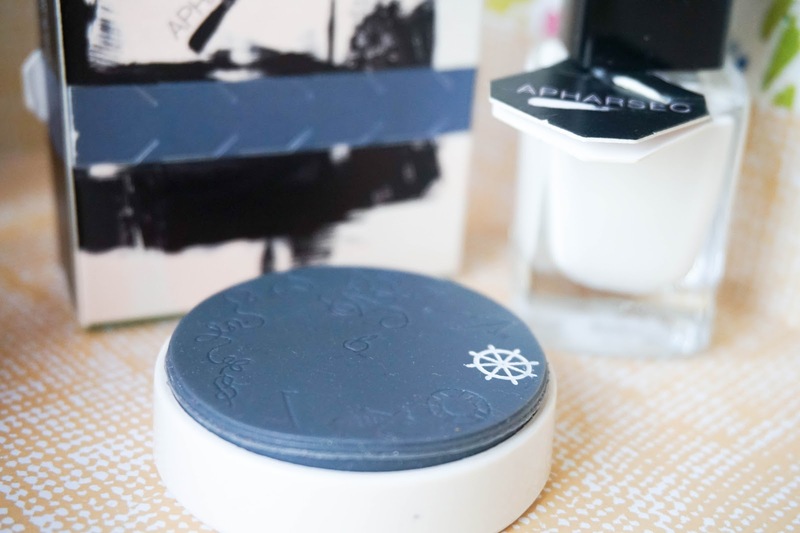 I also received two more products from brand Apharsec, which consisted of a White Stamping Nail Polish and a Love Boat Stamp. Probably on my own here but I've never tried a stamp like this before and found it quite intriguing. I immediately thought it would be super difficult to use or get my head around it, but it's actually so simple and if I can do it anyone can! To use the stamp you just need to apply the stamp polish on the actual design and then scrape the excess off by sliding the stamp on a flat piece of paper. Once the excess is removed you can clearly see the stamp design is filled in and ready to be applied to your nails. The easiest way to apply it to your nails is by gently rolling the stamp on following the nail's curve (if that makes any sense at all). I had fun getting creative with my nails and stepping out of my comfort zone, no doubt this little nail stamp will make an appearance on my nails more often. 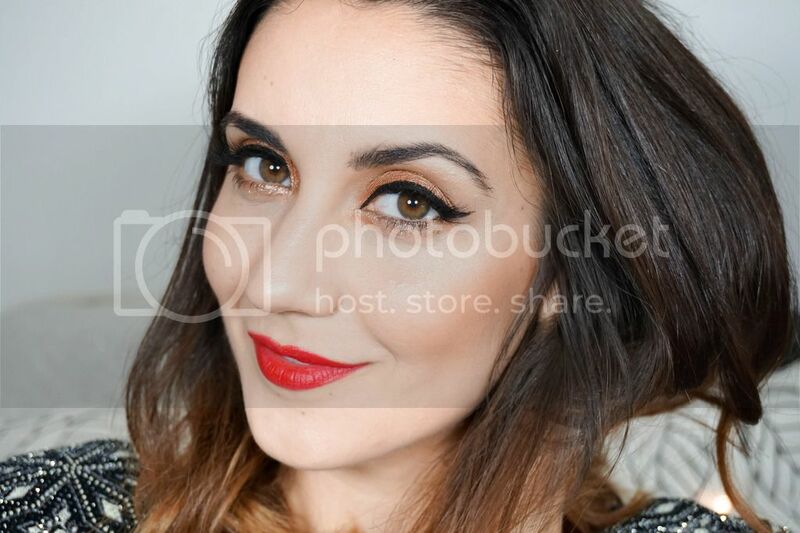 As you can use for my version of sunset nails I used Bourjois So Laque in shade Orange Creation as my main base. 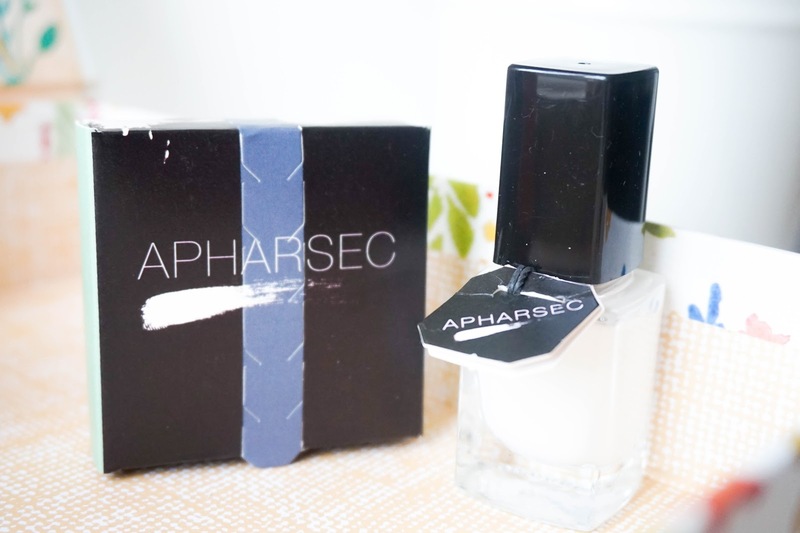 Then used the two Apahrsec products to create my stamp designs, as explained above. Lastly I use a gradient glitter effect from the top of my nails downwards, with the Nicole by OPI in shade Carrie'd Away.